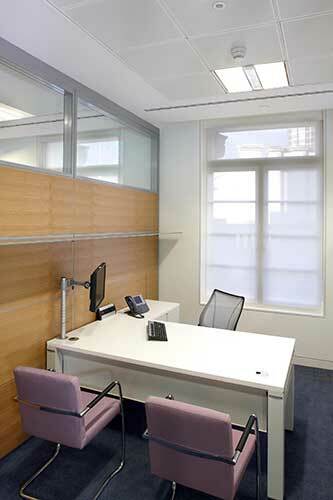 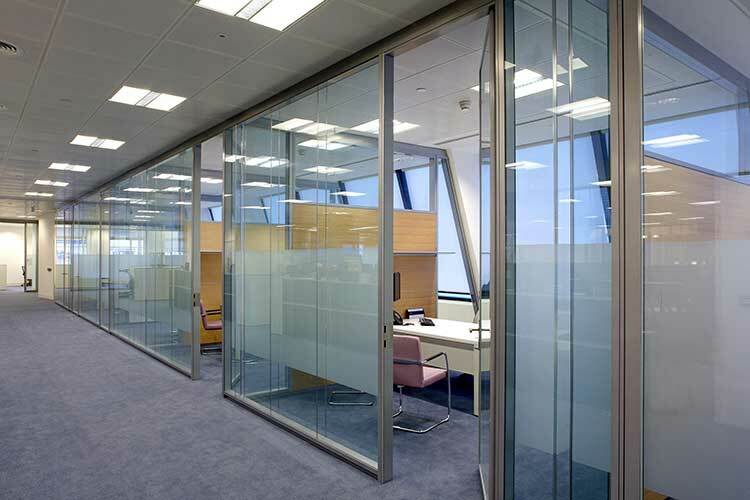 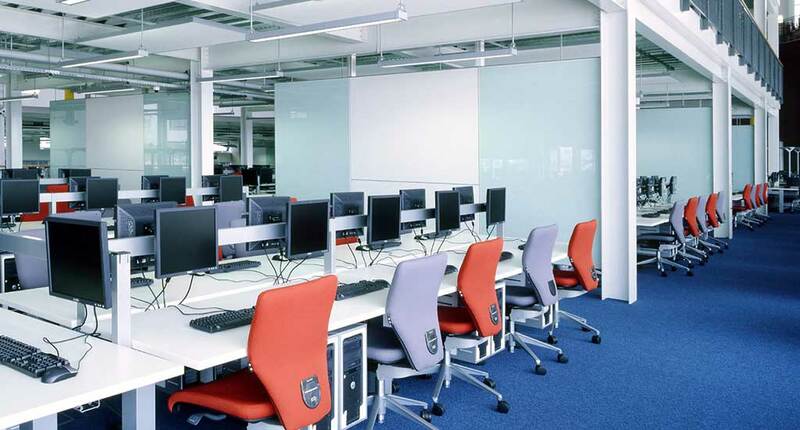 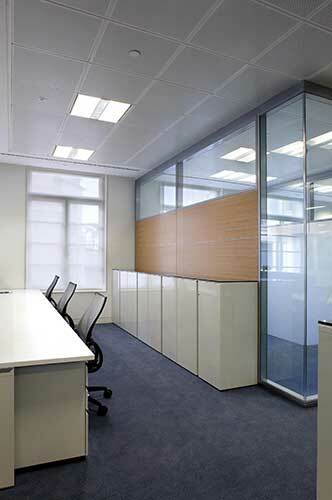 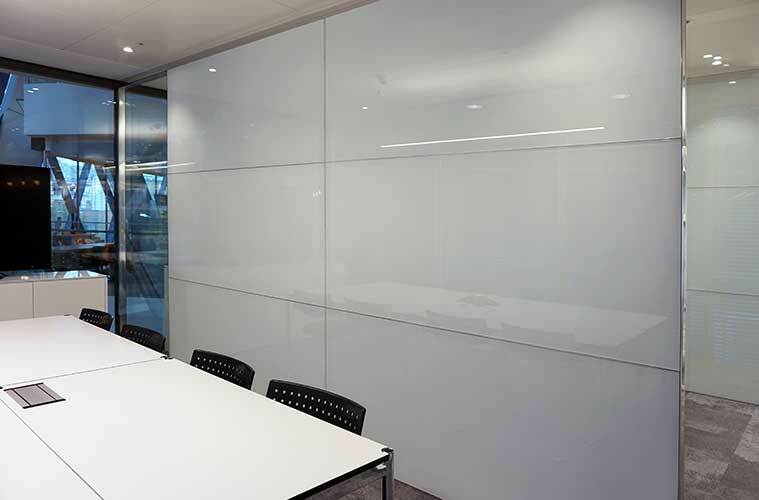 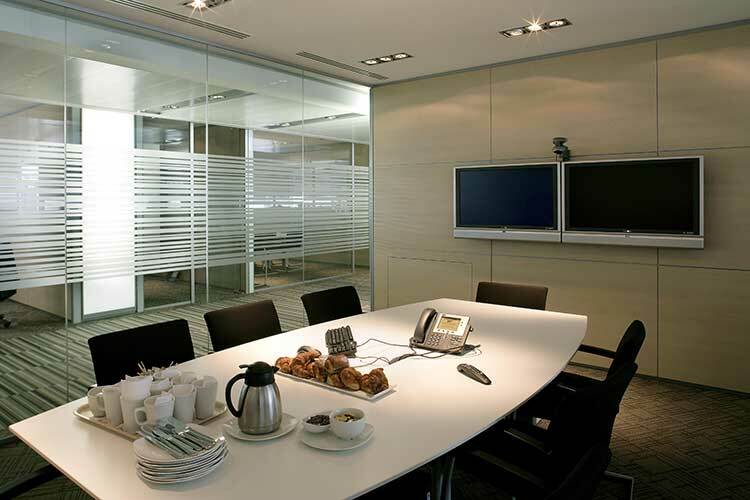 Full height or part height solid partitions in a variety of finishes including sound absorbing acoustic panels and glass writeboards. 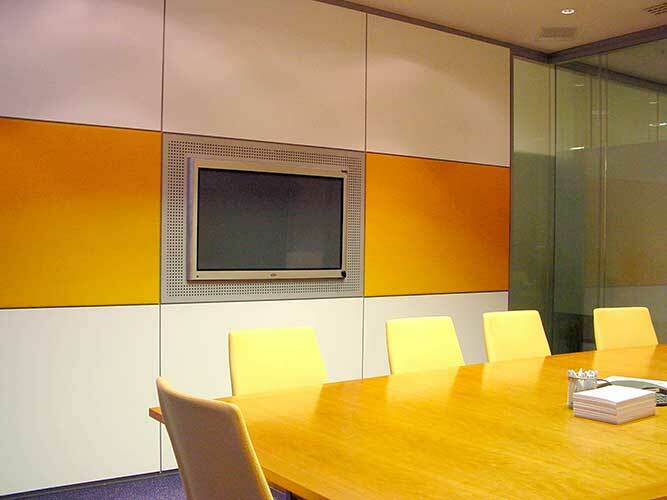 Panel modulations are flexible and can be used to introduce a design element to the Project. 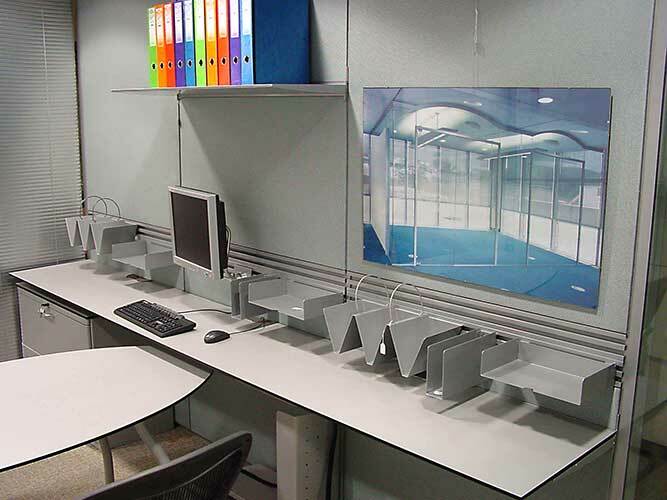 The structure of the system allows surface mounted accessories to be attached for storage purposes or workstation use. 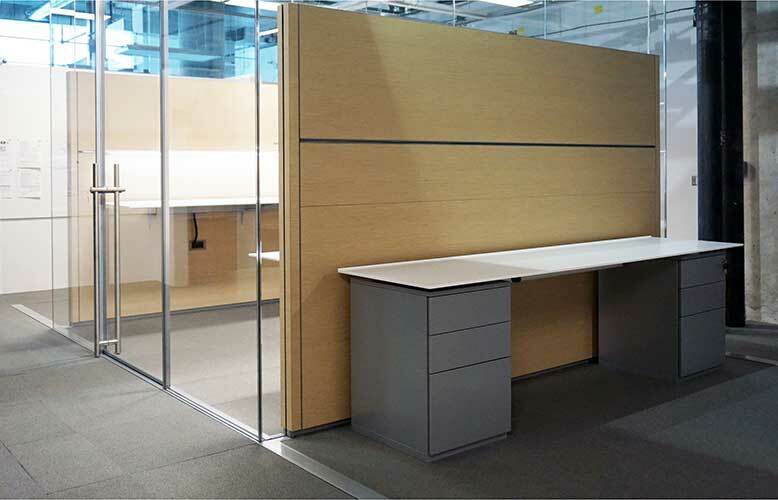 Installation can be a traditional floor to ceiling arrangement with vertical structure fixed to a head track, or a “free standing” arrangement using larger floor brackets to anchor half height or three-quarter height structure and panels. 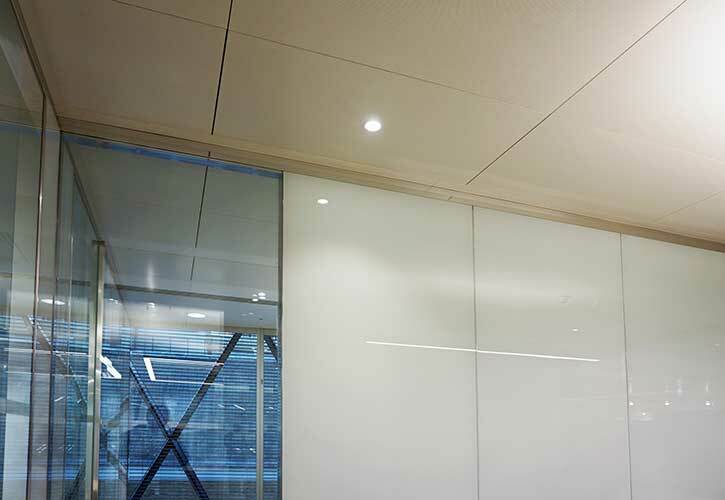 This system lends itself to be integrated with furniture solutions, allowing details to be matched: finishes, shadow gaps, and cable management.